In the book are inserted the Critical Editions of: A. Ambrosio, G. Araldi, M. R. Falcone, P. Massa, V. I. Schwarz-Ricci, M.E. Vendemia, G. Vogeler. The book was published with the co:op project and Unina support. 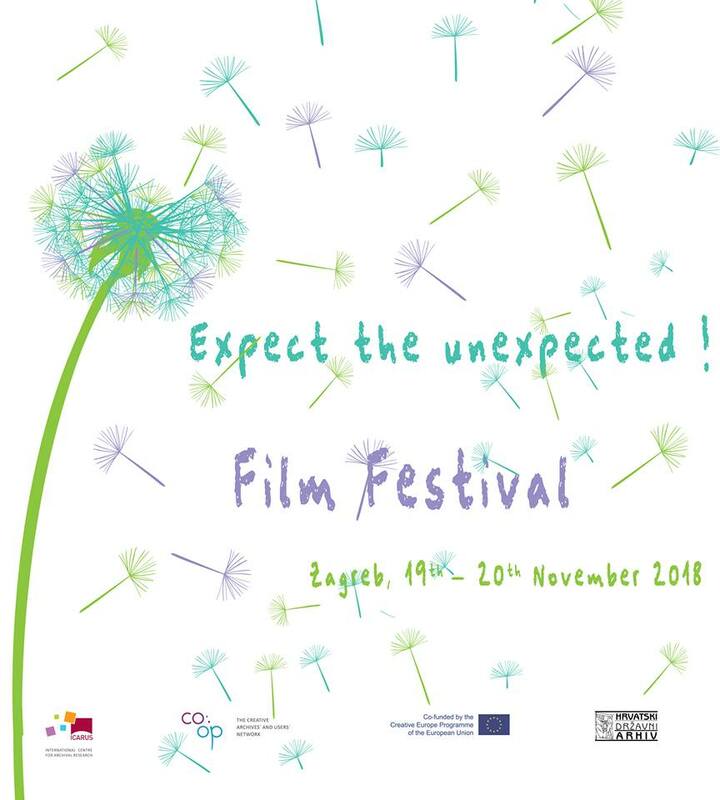 The film festival is the concluding activity of the co:op project and signals the end of a four year long inspiring and exciting cooperation. The films with the motto “Adventures in Archives” invited students behind the walls of archival institutions to spot the hidden treasures of historical material, learn about the various occupational areas in an archive and eventually discover how our cultural identities have evolved and their witnesses are being safe-guarded for the future. The films with the theme “Bring Your History Days” documented the process on setting up Topotheques, an online service tool joining historic material from private collections and thus highlighting the vivid history of municipalities and communities. You can vote for the films here. The results will appear here. 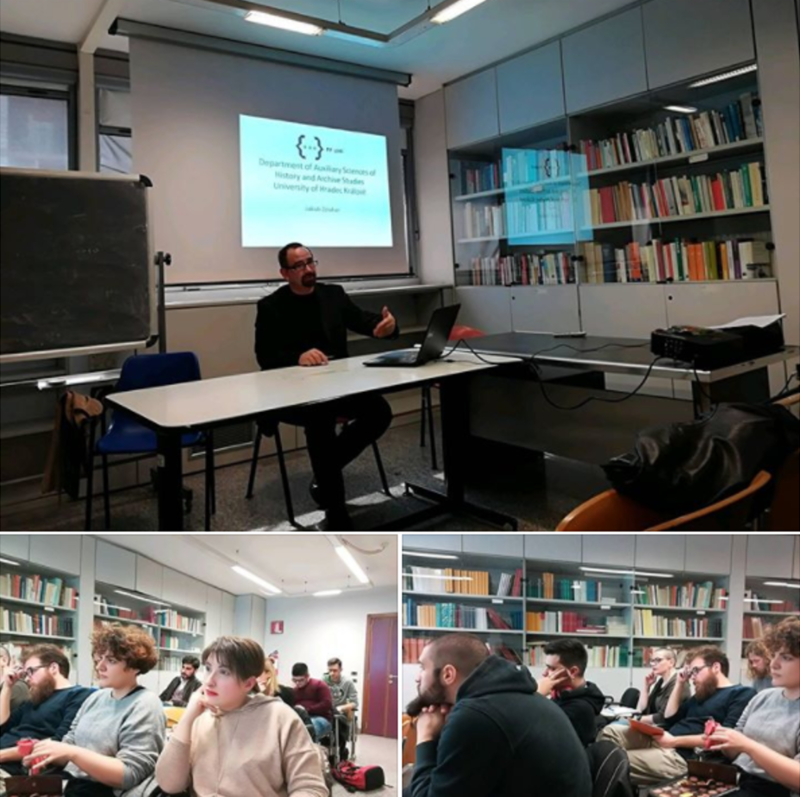 Seminars and operational meetings for the implementation of digital contents on Topotheque and Monasterium.Net platforms, shared with the members of co: op at UNINA. For more information and the programme have a look here. Have a look at the cover story in the new issue of Insights! 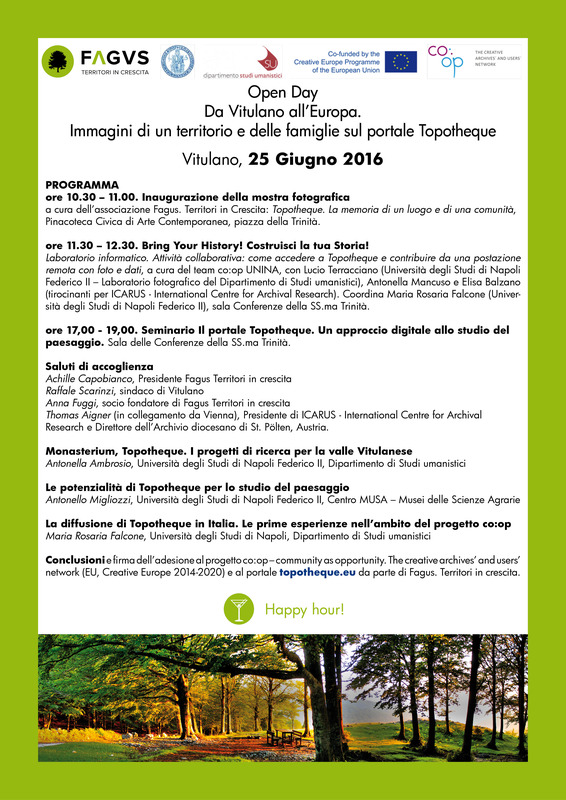 Within the Bring Your History Day, Fantasmatica Association presents its project for the Topotheque platform. 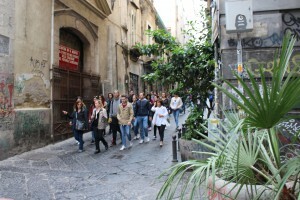 Fantasmatica promotes a project on Naples history with the title: “Historiae lapidis: Napoli raccontata attraverso le pietre”. The history of the town from a particular perspective, that is the collection in a virtual environment of pictures of the building materials which have given Naples its identity. Within its Topotheque, Fantasmatica would like to show the history of its city through the building materials: stones, marbles, tuff. 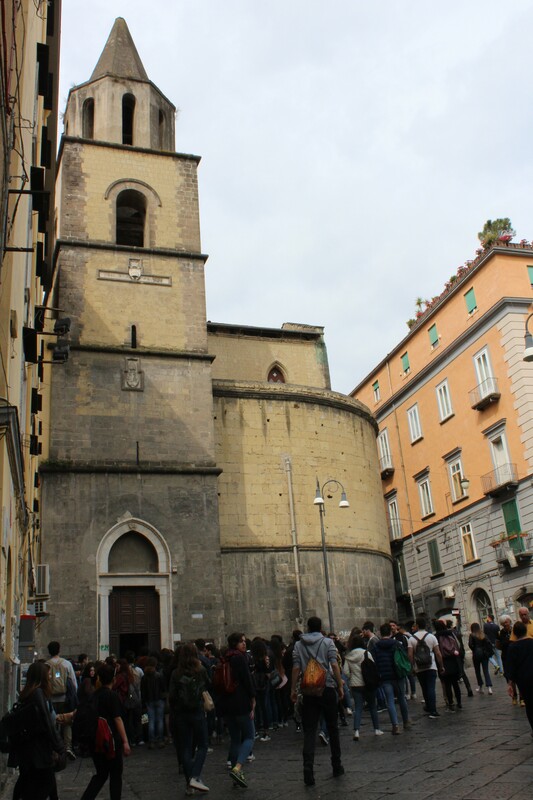 Naples is a city with quite a peculiar architectural history. Most of its building materials are the result of volcanic activity involved in a sort of magic ritual: expelled from the bowels of the earth, sedimented in the subsoil and finally extracted to be brought back to the surface to constitute the backbone of palaces, churches and monuments. Some members of Association (professional and non-professional photographers) are already contributing to the project with their pictures. 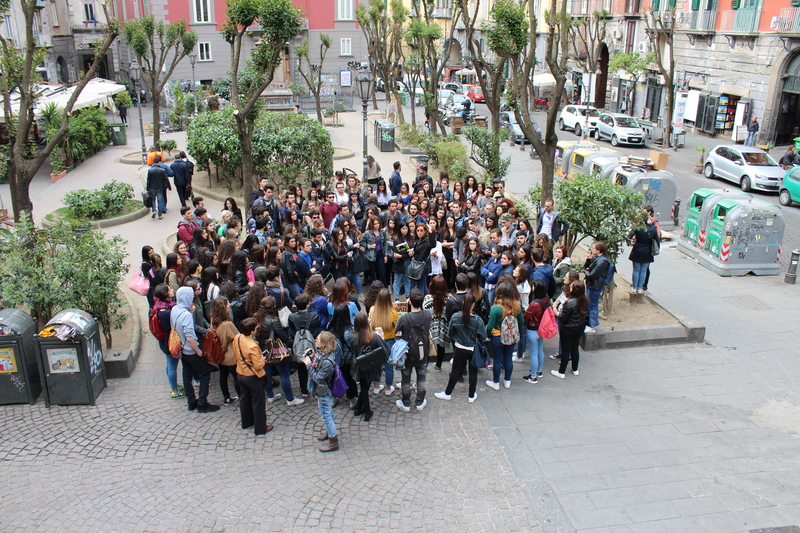 In occasion of the Bring Your History Day, the project, under the patronage of the City of Naples, will be presented to citizens with the aim of involving a wider audience so as to collect more images and more personal histories, from this suggestive point of view. 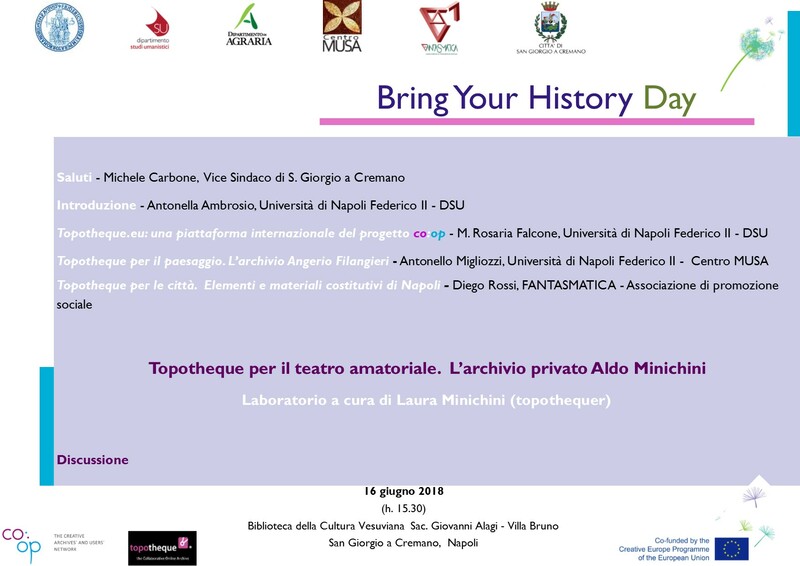 The Bring your History day will have it’s focus on the Private Archive of Aldo Minichini, which offers a photographic material very interesting: it’s images represents the activitiy of a theater company amateur Neapolitan during, especially, seventy and eighty of the twentieth century. 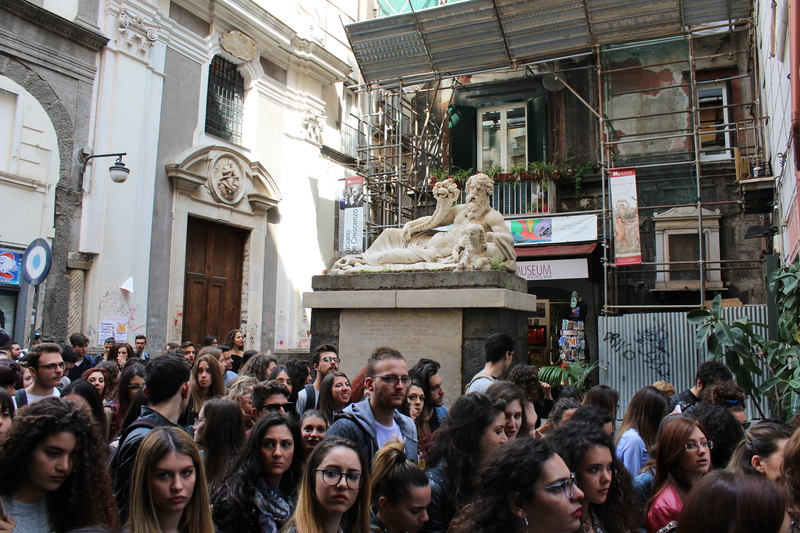 This topotheque was object of the thesis in Archival Science by Laura Minichini, conducted under the guide of Antonella Ambrosio, within the Didactics Activities and Topotheque as part of co:op project. 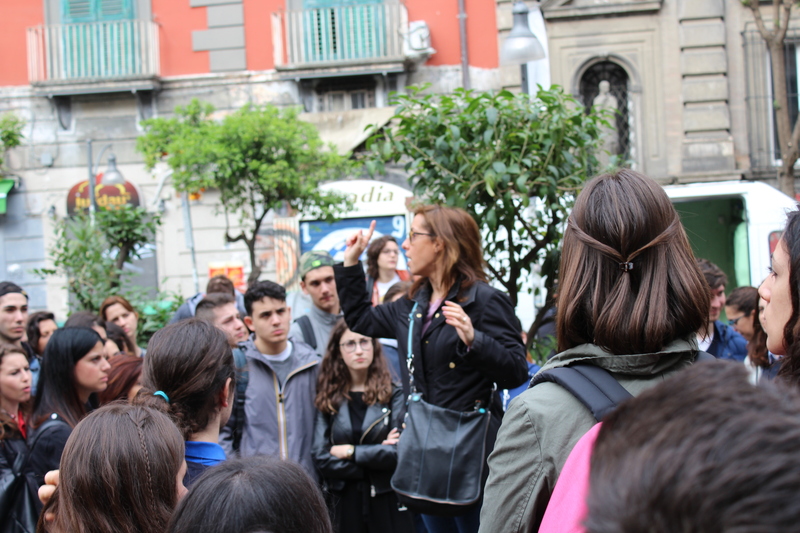 During the Bring your History, a Lab on Topotheque will be conducted by Laura Minichini. The interventions by Antonello Migliozzi for the MUSA Topotheque and by Diego Rossi for the new Topotheque of the Fantasmatica association (which will be completed in the summer) are also scheduled. 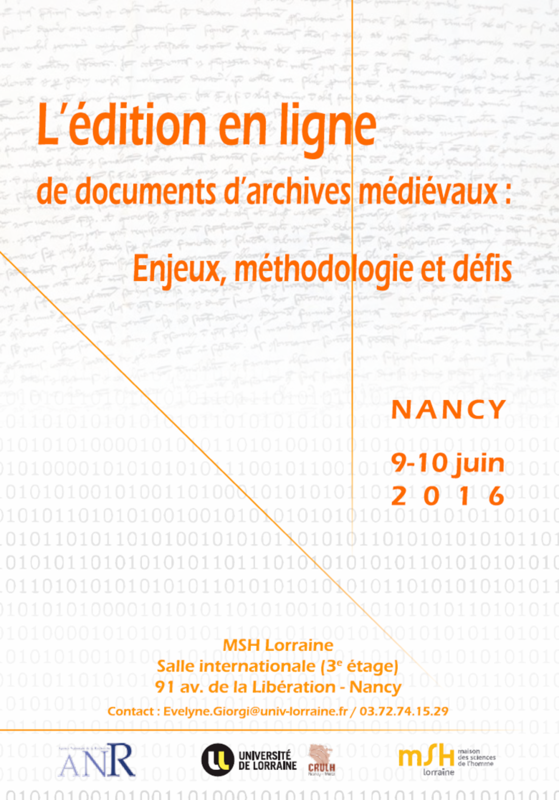 On May 31st will be held the seminar titled L’edizione digitale delle fonti documentarie del Medioevo. 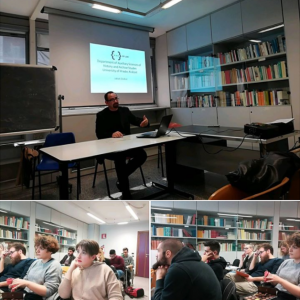 The seminar was organized as part of the didactics activities of the Palaeography course of the degree course in Historical Sciences, of the PhD course in Historical, Archaeological and Historical-Artistic Sciences and of the Cycle of ‘Libri di Storia’ of the Historical Sciences Section of the University of Naples Federico II. 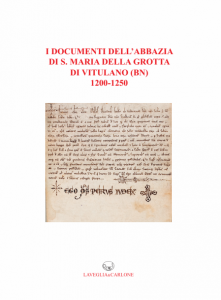 It aims to present the results of the work of digital edition of documents of the first half of the thirteenth century from the archives of the abbey of S. Maria in Gruptis di Vitulano (BN) (also called S. Maria della Grotta), carried out by an international research group, within the European project co: op – Community as opportunity. The creative archives ‘and users’ network and at the same time to reflect with prof. Manfred Thaller (Professor Emeritus in the Historisch Kulturwissenschaftliche Informationsverarbeitung – Applied Computer Science in the Humanities, University of Cologne), on the potential for the Italian documentation of some acquisitions of the European debate concerning the Scholarly Digital Editions. 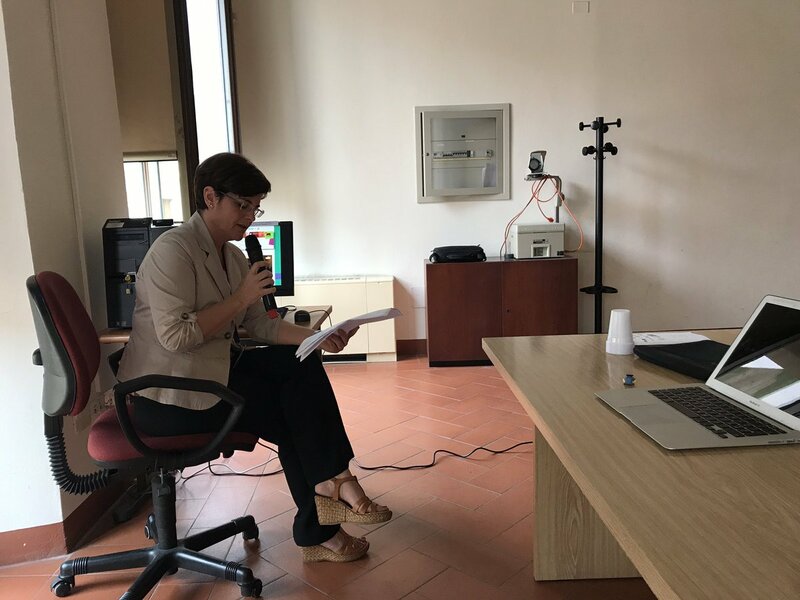 The seminar also inaugurates the activities of the Laboratory ‘Historical Documents in the Web’, which is part of the Department of Humanistic Studies, of which Prof. Antonella Ambrosio is responsible. 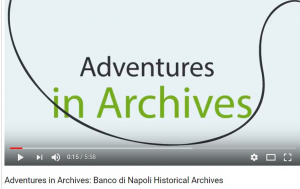 Within the didactic activities conducted by UNINA(Palaeography and Archival Sciences courses), as part of preliminary activities of the WP4 “Adventure in Archives”, it was organized an archival itinerary to accompany our students to discover the SS. 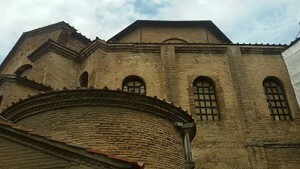 Pietro e Sebastiano monastery and archive. 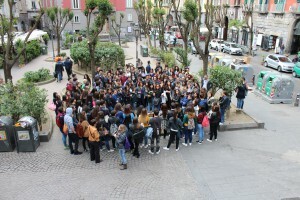 The activity was realized in cooperation with The Cartastorie Museum. Antonella Ambrosio (DSU-Unina), Maria Rosaria Falcone (DSU-Unina), Antonello Migliozzi (MUSA, Museum of Agricultural Sciences – Unina) will guide several teachers of primary and secondary schools in the use of Topotheque portal. The teachers will contribute to a part of implementation the UNINA topotheque. The aim of the activity is the reflection on the landscape memory sharing to involve and to educate the present and future citizens. 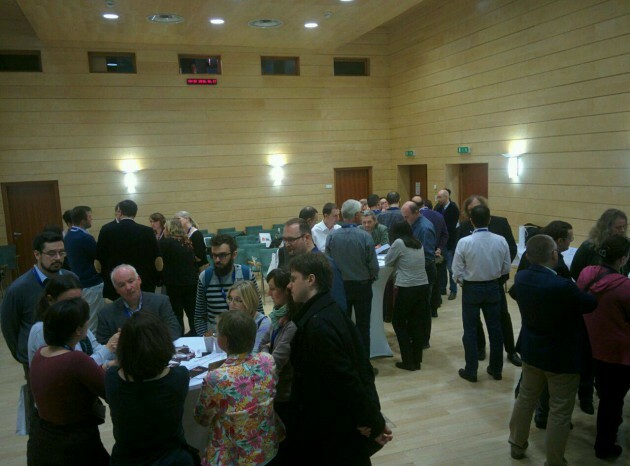 The event is part of activities of the project co:op – community as opportunity. the creative archives ‘and users’ network – WP3 Topotheque. 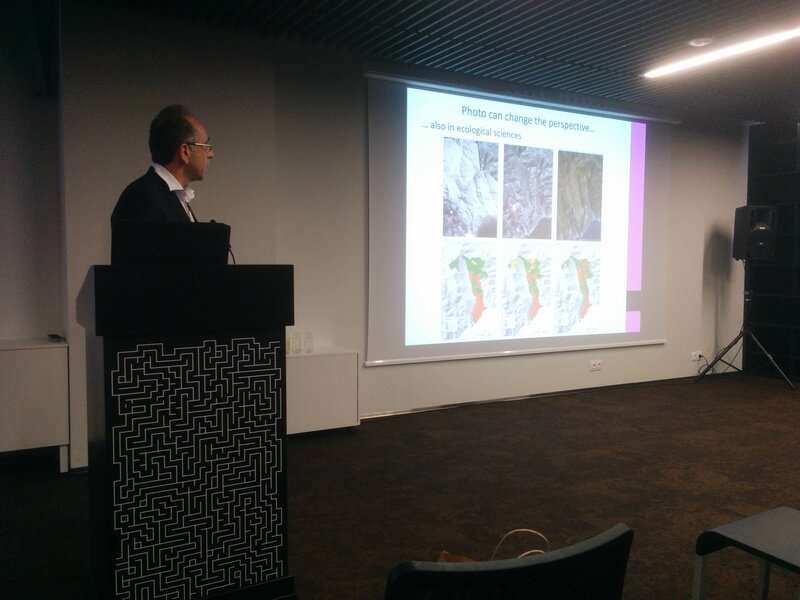 It is realized in cooperation with UNISCAPE Naples Network and MUSA center. Within the UNINA Palaeography and Diplomatics academic course, held by Antonella Ambrosio as part of the co:op project activities, will held the seminar titled Jean Mabillon, De re diplomatica libri VI and the Church Historiography of the 17th and 18th Centuries held by Jakub Zouhar – University of Hradec Kràlovè (Czech Republic). A course in the field of the Digital Humanities! 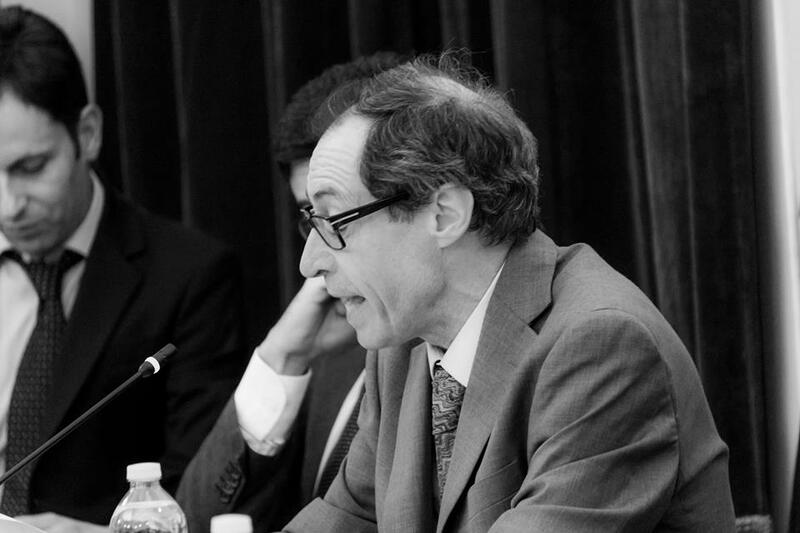 It will begin with the definition of the diplomatic document, the terminology and the chronological contexts of the discipline, and then address its history. The course will continue with the forms and functions of the document and its tradition. After providing Latin script history features with particular regard to documentary scripts, they will follow lecture lessons of reading, dating and evaluation of the text tradition, and methodology of traditional and digital editing of documents. A second part of the course will be devoted to the Web resources for medieval documents and to the Scholarly digital editions of medieval documents. 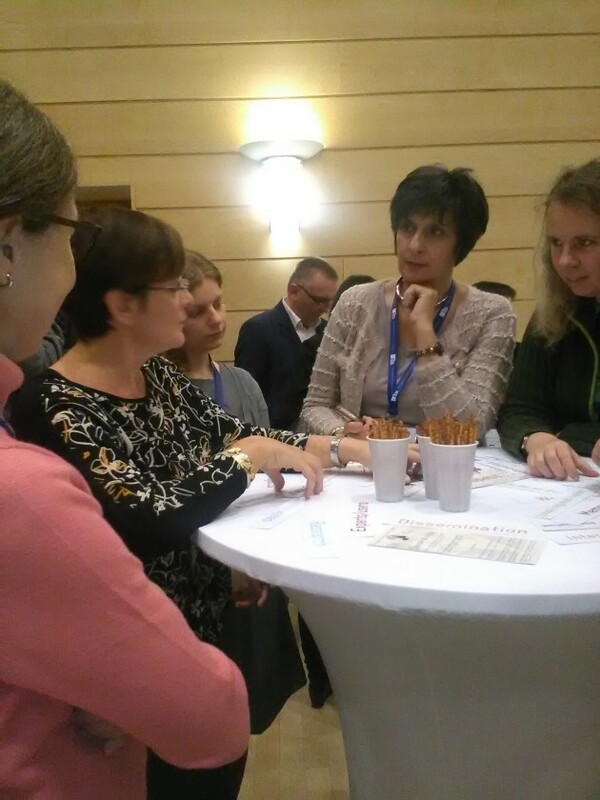 The course is linked to the didactic activities promoted in the framework of the European project, Creative Europe 2014-2020, in co-operation with several European universities. Within the framework of the project Paesaggio da tutti – Paesaggio per tutti promoted by UNISCAPE Naples Network, Antonella Ambrosio (DSU-Unina), Antonio Di Gennaro (Biology Department-Unina), Maria Rosaria Falcone (DSU-Unina), Antonello Migliozzi (MUSA, Museum of Agricultural Sciences – Unina), will held a Lecture-workshop titled Paesaggio e Consapevolezza. 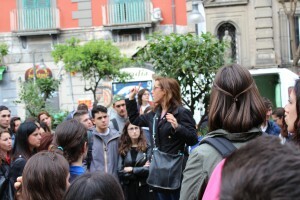 The workshop is directed to teachers in primary and secondary schools and is part of several activities carried out within the subproject “MUSA Filangieri Archive – in Topotheque”, coordinated by Antonella Ambrosio, Stefano Mazzoleni and Antonello Migliozzi (members: Maria Rosaria Falcone, Lucio Terracciano and some students trainees of the Degree courses in Archaeology and Art History and Master’s degree of Historical Sciences), as part of the activities of the project co:op – community as opportunity. the creative archives ‘and users’ network – WP3 Topotheque. The summary of the contents of the workshop at the following link. More details on the Subproject MUSA – Archivio Filangieri in Topotheque here. More details on the UNISCAPE project here. The digital Archive of Cuenca is the result of a project of digitisation and description of the medieval charters (XV century) of the cathedral archive. 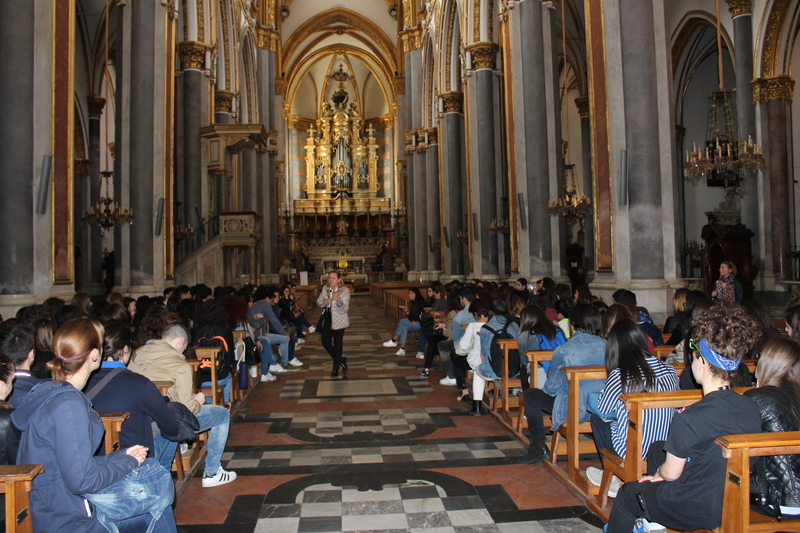 It is supported by ICARUS with the cooperation of the University of Naples Federico II, within the activities of Monasterium Italy Working Group (Responsible: Antonella Ambrosio). The scientific coordinators of the project are the proff. Francisco Antonio Chacón Gómez-Monedero and Manuel Joaquin Salamanca Lopez, which elaborated the description data and supervised the digitisation of the charters. 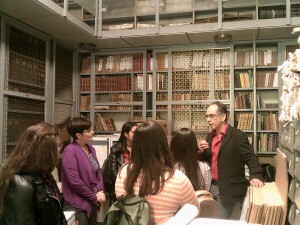 Here to the Digital Archive! 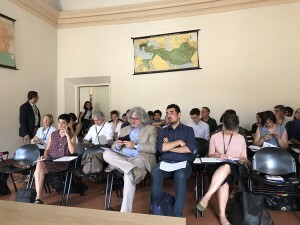 Within the MOMathon initiative, UNINA organized at university a specific marathon to encourage the students of the Palaeography and Diplomatics course to enhance the database of our common portal Monasterium.Net. 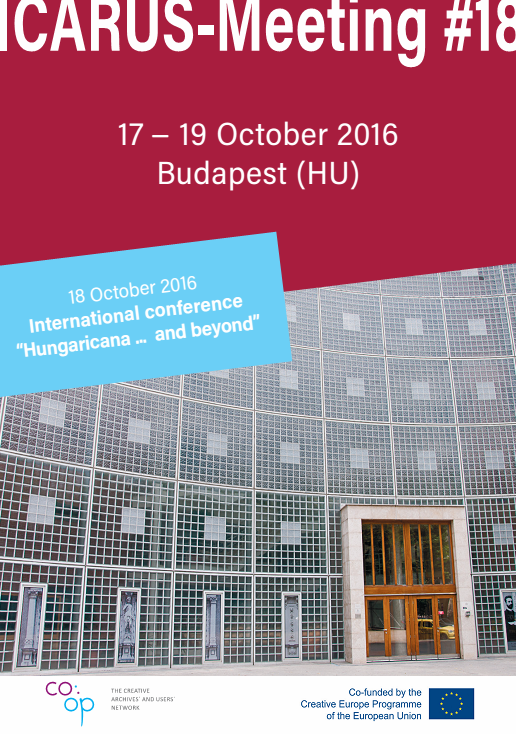 Antonella Ambrosio and Vera Isabell Schwarz-Ricci will participate in the Immersive University Education – International Conference. In this occasion the Federico II University will present the Virtual Learning Federico 3DSU which reproduces the Department of Humanities in a virtual reality and it introduces university students and high school students in the field of digital human sciences. 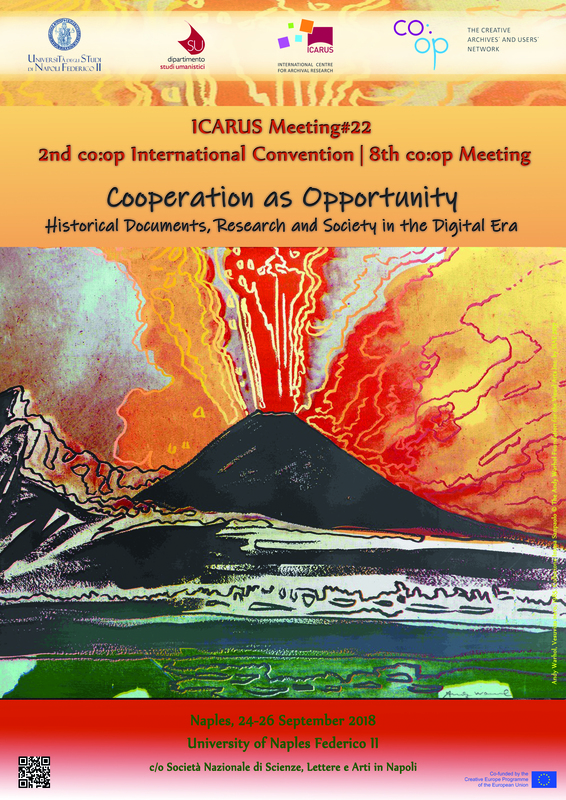 Antonella Ambrosio and Maria Rosaria Falcone (Università degli Studi di Napoli Federico II) will attend at the 20th ICARUS Meeting and the International Conference The Age of Technology: Documents, Archives and Society, in Madrid. On 23th October A. Ambrosio will attend at the 15th Monasterium Anniversary – Celebration talk show. On 24 October, within the workshop of the workpackage 4, as part of the “Adventures in Archives” activities, it will be presented the first short movie realized in collaboration with the CartaStorie Museum. International Conference Federico II, l’Università, la cultura di corte. Our Monasterium Working Group at the International Conference Federico II, l’Università, la cultura di corte. Horst Enzensberger talked about «Non expectata conscientia imperatoris». La prassi documentaria nel Regno di Sicilia. Within his speech, the Prof. Enzensberger mentioned, several times, the MONASTERIUM.NET platform and its utility for the Diplomatics scholars. We are very happy of this scientific acknowledgment! 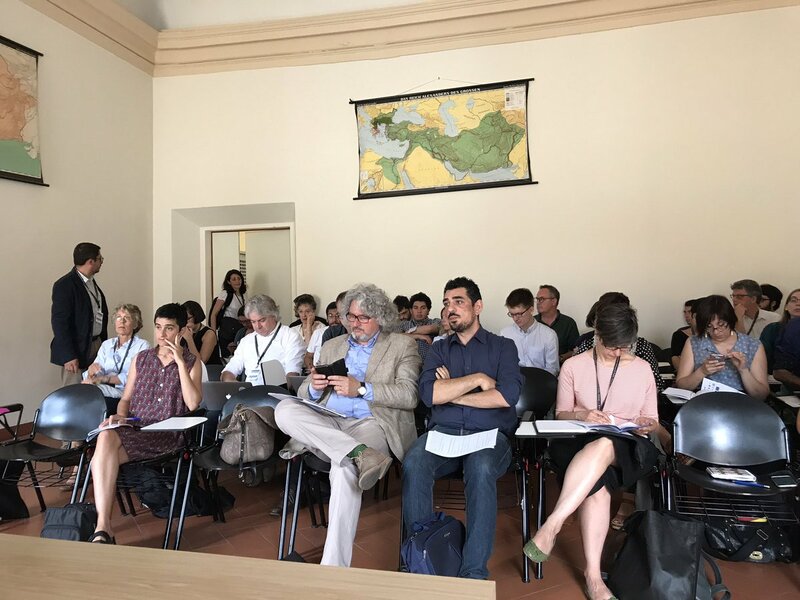 Within the ICARUS meeting, the ICARUS Didactics Group, coordinated by Antonella Ambrosio, invites to a workshop on the Topotheque by the example of the MUSA Center – Museum of Agricultural Sciences – in Italy! The workshop will be held by Antonello Migliozzi (UNINA-MUSA), researcher in Natural Sciences and responsible for the MUSA/Archivio Filangieri Topotheque. More details on the Workshop, here and following some pictures of the Workshop. 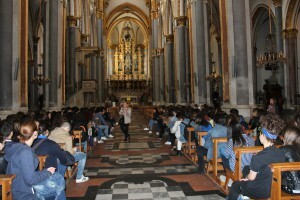 New article Monasterium Italy Group on Insights Magazine! Insights Magazine aims to highlight not only the host of ICARUS international networks, but also the ICARUS4all community. Insights strike and aggregate the experiences and knowledge of both spheres and strive to inform them about each other by working closely with the archival community that consists of archival institutions and their users. 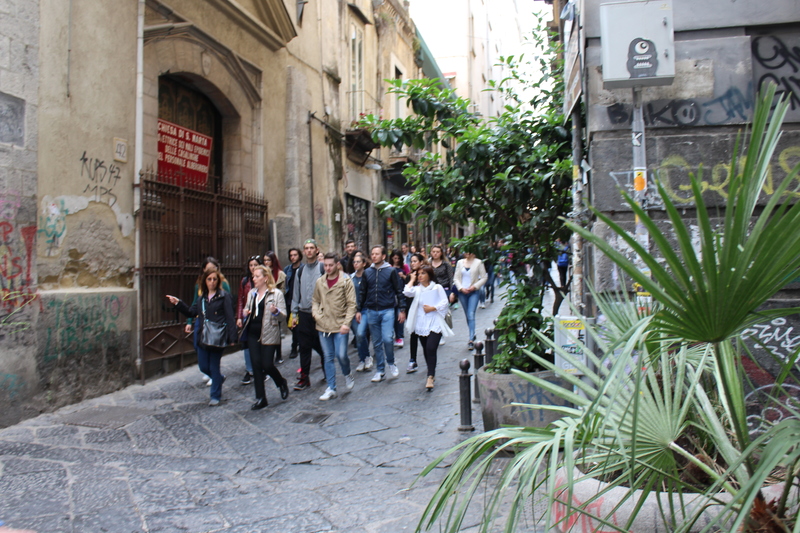 Within the didactic activities conducted by UNINA and as part of the preliminary activities of the WP4 “Adventure in Archives”, it was organized in the Old Center of Naples an historical and archival itinerary. 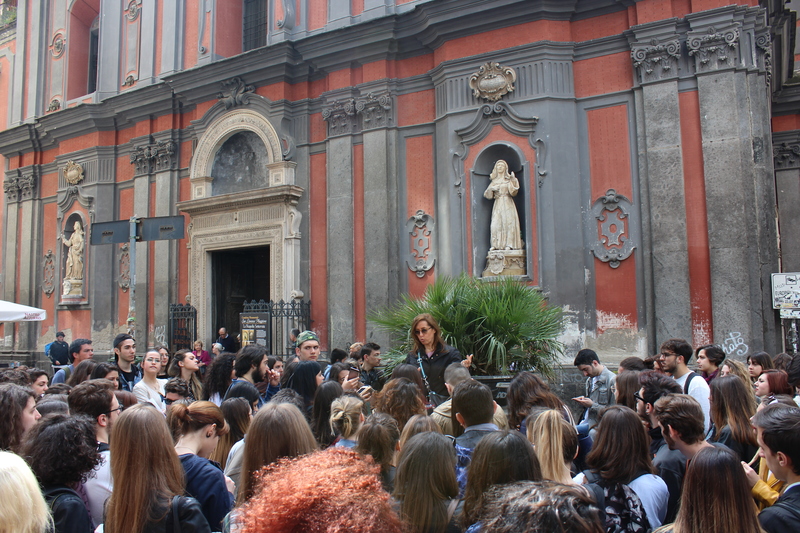 This itinerary will accompany our young students to discover part of the old center with the aim of making visible, through the knowledge of its places, the very close link between the City and the Archives (especially monastic ones). 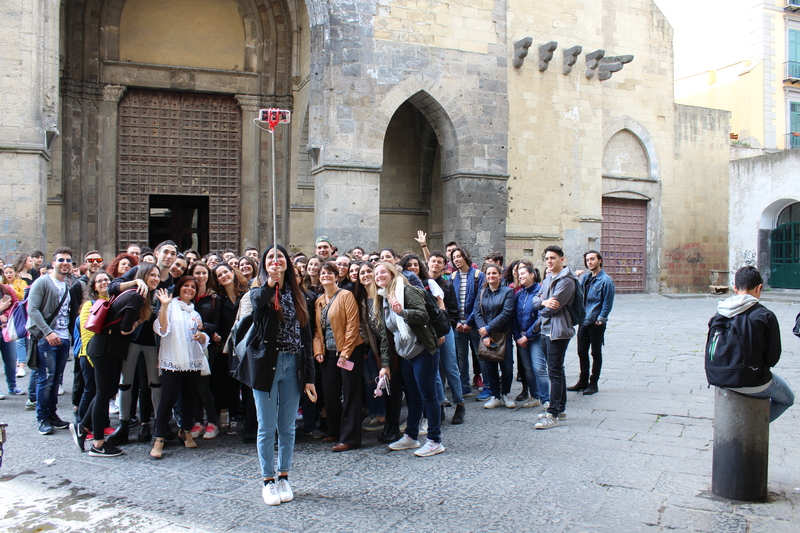 The itinerary will be guided by Rosalba Di Meglio (UNINA – Professor of Medieval History – Member of Scientific Board of co:op/Unina) and Barbara delle Donne (UNINA – Professor of Geography) with the collaboration of Antonella Ambrosio and Maria Rosaria Falcone. Within the project “Progetto di alternanza scuola lavoro Fonti fotografiche digitali per la Storia del centro antico di Napoli“ realized thanks to collaboration between UNINA, ANAI Associazione Archivistica Italiana. 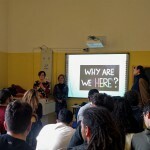 Sezione Campania, Associazione Amici degli Archivi and the school Liceo A. Genovesi, Antonella Ambrosio and Maria Rosaria Falcone (UNINA), within the co:op activities linked to the WP3 “Topotheque”, after a first lecture on the creation of the historical sources on the web resource (held on March 15th) will hold a lecture on the Topotheque platform and its use. 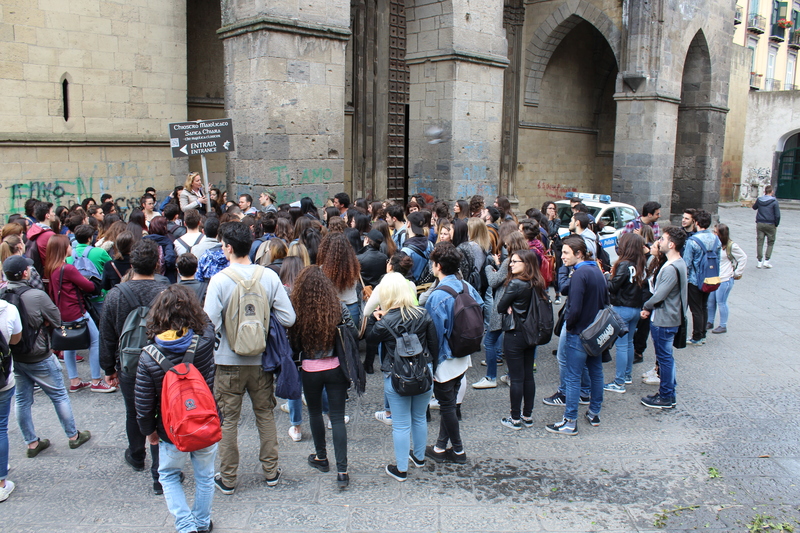 As part of co:op UNINA University courses, the new Archival Sciences course has started. Antonella Ambrosio will hold it for the students from Archaeology and Art History degree courses. A particular attention will be set on the state of change occurring in the relationship between Computers and Archives, focusing on how descriptive and inventory softwares, informative systems and online sources (archivistic web) are changing it. In this framework will be presented and used the web platform Topotheque, through a concrete case: the Topotheque of the Centro Museale delle Scienze Agrarie, MUSA. The lessons will provide hours on the platform, direct participation in the photographic lab of the Dipartimento di Studi Umanistici, whose person in charge is Mr Lucio Terracciano (March 30th 2017) and a visit to the MUSA centre (March 31th 2017) , where the Angerio Filangeri Archive is kept. Through this way, students will be able to know, from one side, an archive in its physical structuration and collocation and, from the other side, its partial digital representation in Topotheque, so as to stimulate a reflection on the difference between a real archive and a virtual representation. 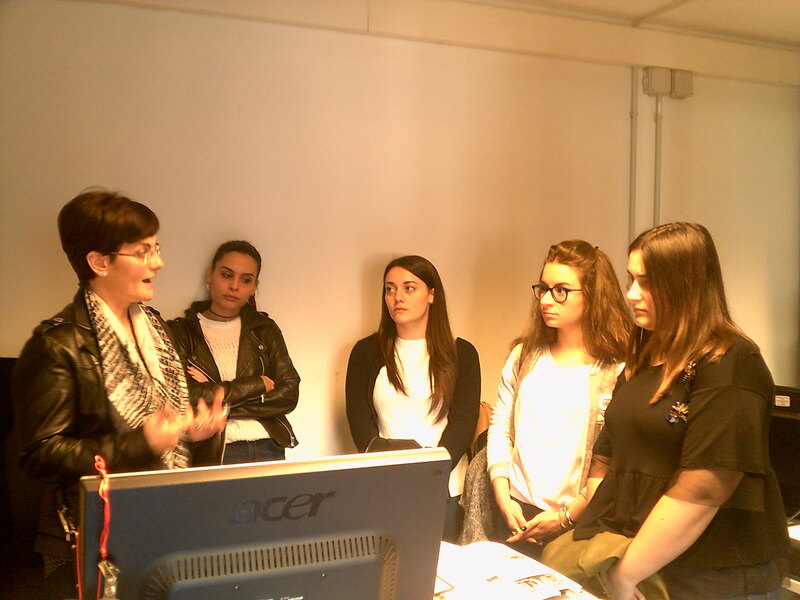 Antonella Ambrosio held a Diplomatics and Palaeography course for the Degree students in History. 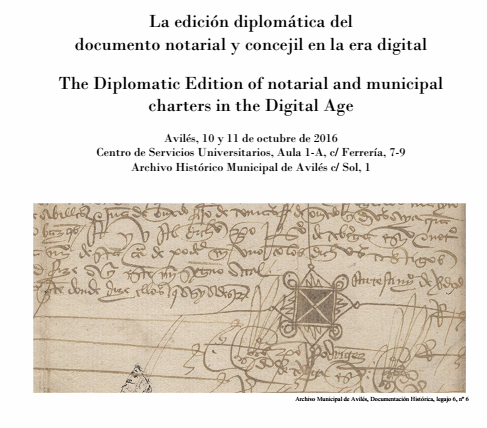 The course of Diplomatics and Palaeography integrated educational activities in a path from traditional to new digital methodologies by using the digital archives available on Monasterium.Net.The students were engaged actively by employing Monasterium’s tool MOM-Ca and by experimenting Critical Digital Editions in MOM-Ca. Come creare una risorsa di fonti storiche sul Web? /How to create a resource of historical sources on the Web? 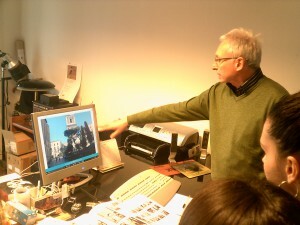 Within the project “Progetto di alternanza scuola lavoro Fonti fotografiche digitali per la Storia del centro antico di Napoli“ realized thanks to collaboration between UNINA, ANAI Associazione Archivistica Italiana. 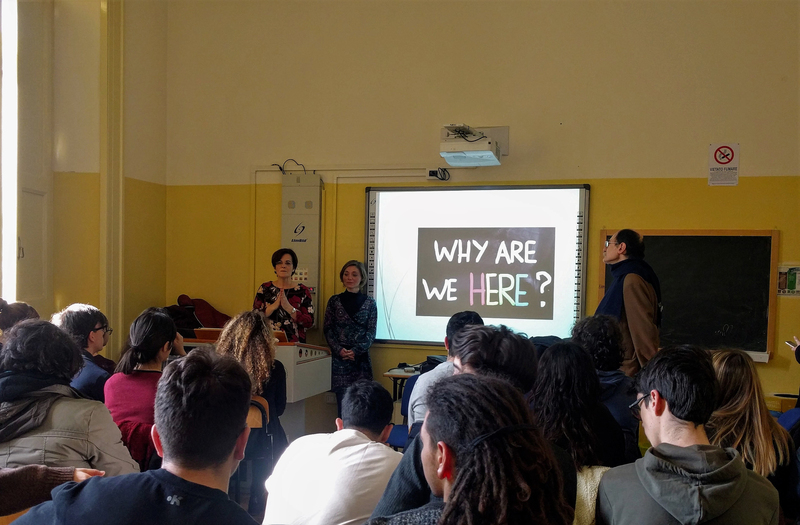 Sezione Campania, Associazione Amici degli Archivi and the school Liceo A. Genovesi, Antonella Ambrosio and Maria Rosaria Falcone (UNINA), within the co:op activities linked to the Workpackage “Topotheque”, will hold a lecture on the creation of the historical sources on the web resource. 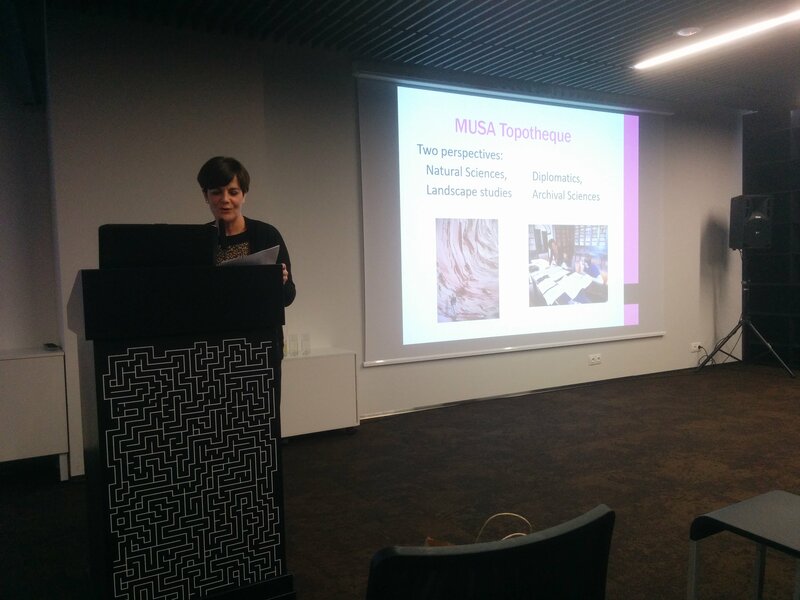 co:op Topotheque – Article on the European Archival Blog! Welcome to our new trainees! The first italian Topotheque collections online! The collection of the Angerio Filangieri’s Archive realized by the MUSA (Museum Centre of Agricultural Sciences) in collaboration with UNINA! The collection dedicated to the Vitulano (Benevent, Italy) valley realized by FAGUS. 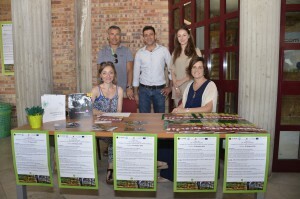 Territori in crescita association and promoted by UNINA! 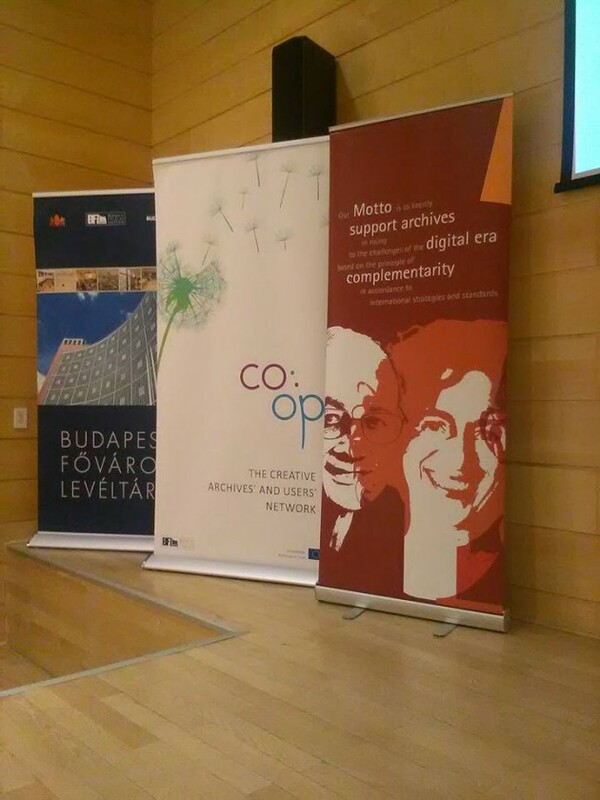 Co:op Research – Article on the European Archival Blog! The project of Digital Edition of the charters of S. Maria della Grotta (1200-1250) in Monasterium.Net reached a new stage with the encounter for a training seminar: a part of the research team (Antonella Ambrosio – Maria Rosaria Falcone, Vera Isabell Schwarz-Ricci, – Università degli Studi di Napoli Federico II – and Maria Elisabetta Vendemia) has worked on the XML murkup with MOM-Ca Software to implementate the model of the Digital Edition. 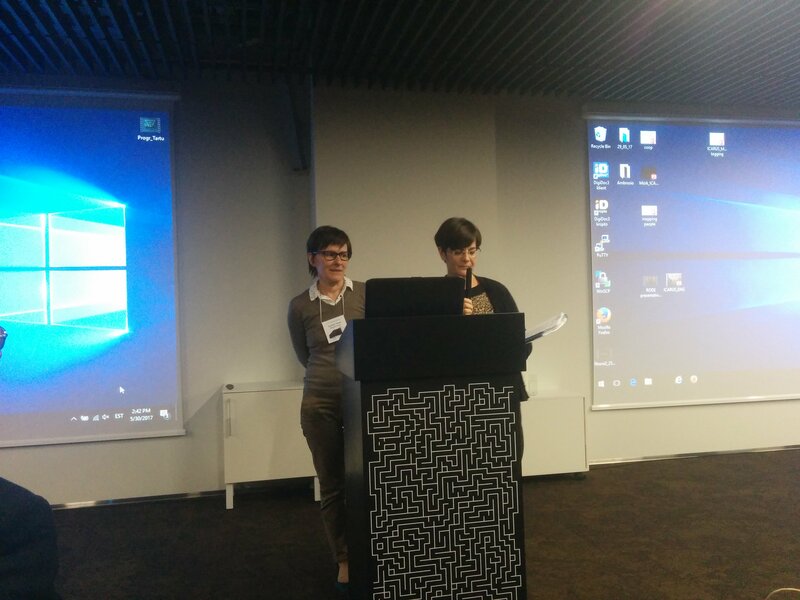 The seminar was coordinated by Antonella Ambrosio and Vera Isabell Schwarz-Ricci. The project born within the project ENArC (EU Culture Programme 2007-2013) and within the project L’edizione digitale e cartacea dei documenti dell’Italia Meridionale in Monasterium.Net, sponsored by the Università degli Studi di Napoli Federico II (Fonds Contribution for International Agreements, A.F. 2014 and A.F. 2016), today is an important objective of the co:op project. The aim of this research project is to test for the first time in Europe Monasterium’s software MOM-Ca for the creation of a digital edition. 3rd MOMathon – Review on the European Archival Blog! 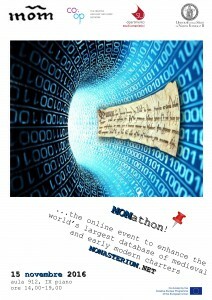 A review on the last MOMathon was published on our European Archival Blog. 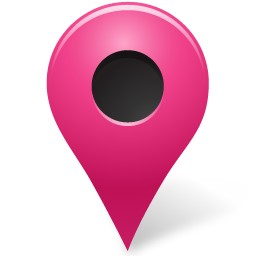 UNINA/Topotheque: The Research Group now in the UNISCAPE Network! 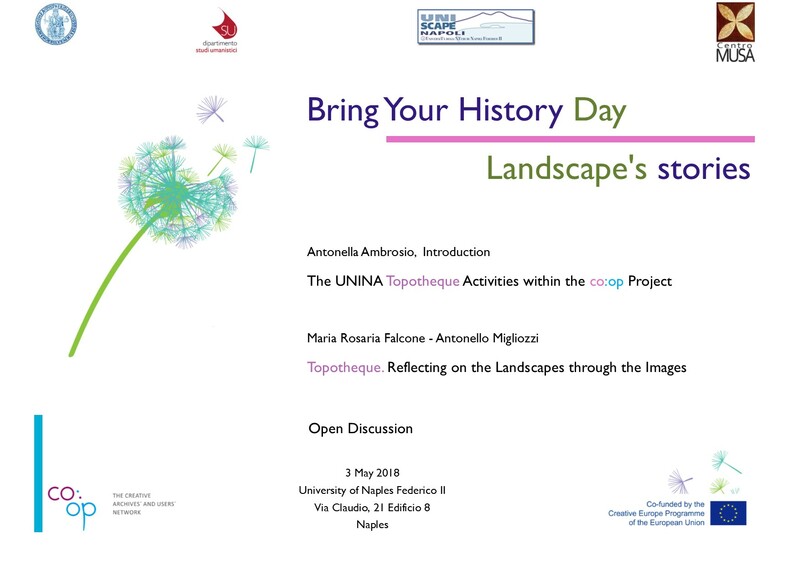 The Research Group UNINA/Topotheque entered the Uniscape Network thanks to the research and didactics activities, conducted in collaboration with the MUSA Center, on the history of the landscape of the Campania region. UNINA/Topotheque members: Antonella Ambrosio (UNINA), Maria Rosaria Falcone (UNINA), Antonello Migliozzi (MUSA), Lucio Terracciano (UNINA). 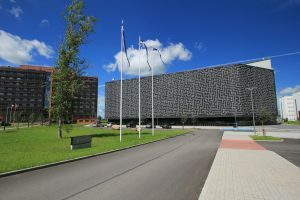 UNISCAPE is the Network of Universities especially dedicated to the implementation of the European Landscape Convention. Aim of UNISCAPE is to support and reinforce interdisciplinary co-operation within and among European universities regarding landscape issues, especially in the areas of research and education. 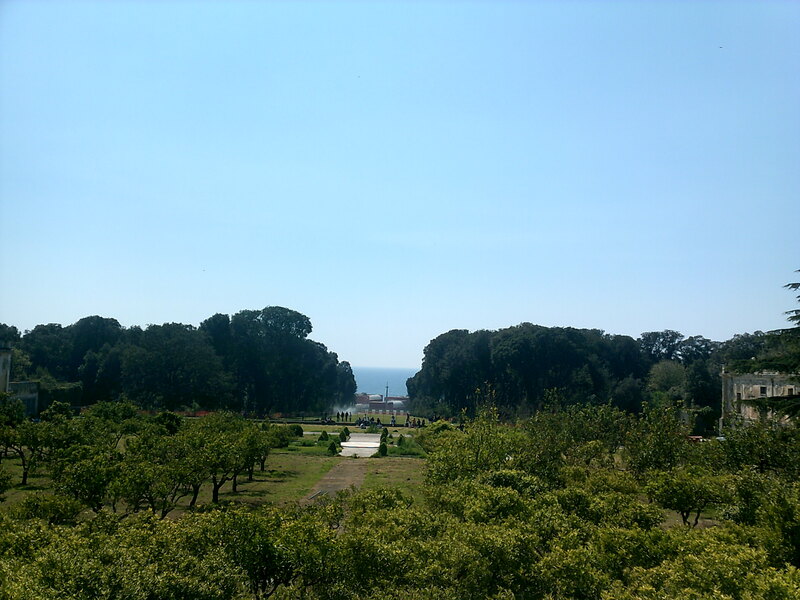 UNISCAPE thereby promotes the principles and the objectives of the Florence Convention (the European Landscape Convention, in force since 2004). …but, what is the MOMathon? Organised within the co:op activities the MOMathon is an online event in which all people interested in historical documents help to enhance the Monasterium portal database; it is a community driven activity drawing the public user communities’ attention towards the innovations of research possibilities manifested in the Monasterium portal. Within the time frame of a MOMathon (could be day, a week or even a month), “edits” on documents on the Monasterium portal will be reported to a moderator and the editors with the highest “score” will come out as the winner of the MOMathon! 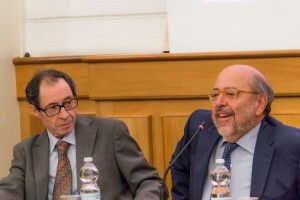 The lecture had the patronage of the Società Napoletana di Storia Patria. The paper of Dr. Antonello Migliozzi (Università degli Studi di Napoli Federico II) and Dr. Maria Rosaria Falcone (Università degli Studi di Napoli Federico II), L’inventario dei beni storico-artistici e naturali di Angerio Filangieri. Un recupero della memoria attraverso la piattaforma WEB Topotheque, has been published in the proceedings of the conference (ISBN: 978-88-99930-00-4). 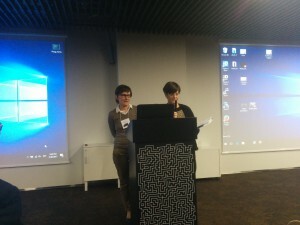 The Associazione Nazionale Archivistica Italiana (ANAI) entered the ICARUS community as a new member and was welcomed at the ICARUS Meeting #18 in Budapest. 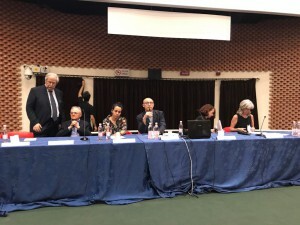 The association was presented by Antonella Ambrosio (Università degli studi di Napoli Federico II) in occasion of the dedicated session Newbies Carousel. The informal Join the crew! 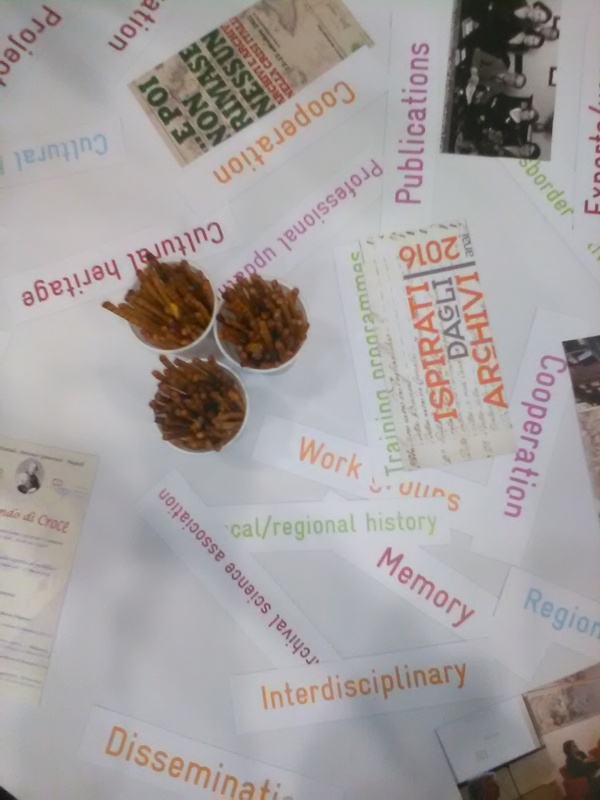 Icarus Mixer offered the opportunity to the participants to enter into discussions about the activities of the ANAI, stimulated by fotos and key-words describing in particular important initiatives, for example Archivi e Archivisti 2011 and Ispirati dagli Archivi 2016. 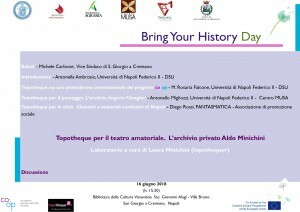 On October 28th Dr. Antonello Migliozzi (MUSA, Università degli studi di Napoli) and Dr. Maria Rosaria Falcone (Dipartimento di Studi Umanistici, Università degli studi di Napoli) will give a talk on L’inventario dei beni storico-artistici e naturali di Angerio Filangieri. 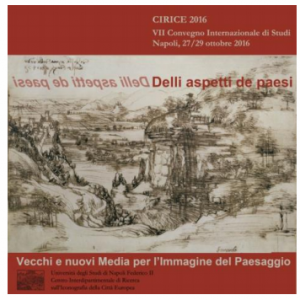 Un recupero della memoria attraverso la piattaforma WEB Topotheque in occasion of the International Conference CIRICE 2016. 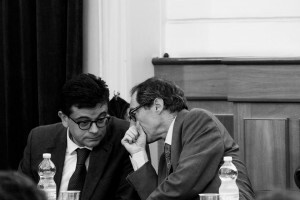 Delli Aspetti de Paesi. Vecchi e nuovi Media per l’Immagine del Paesaggio within the session Iconografia del vissuto e dell’imperfezione (Friday, 28th October, Palazzo Gravina, Biblioteca Area Architettura, Sala Rari). 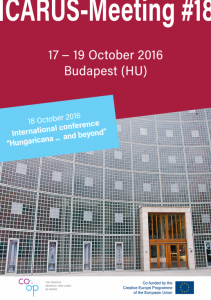 Antonella Ambrosio and Maria Rosaria Falcone (Università degli Studi di Napoli Federico II) will attend the 18th ICARUS Meeting and the International Conference Hungaricana … and beyond in Budapest. 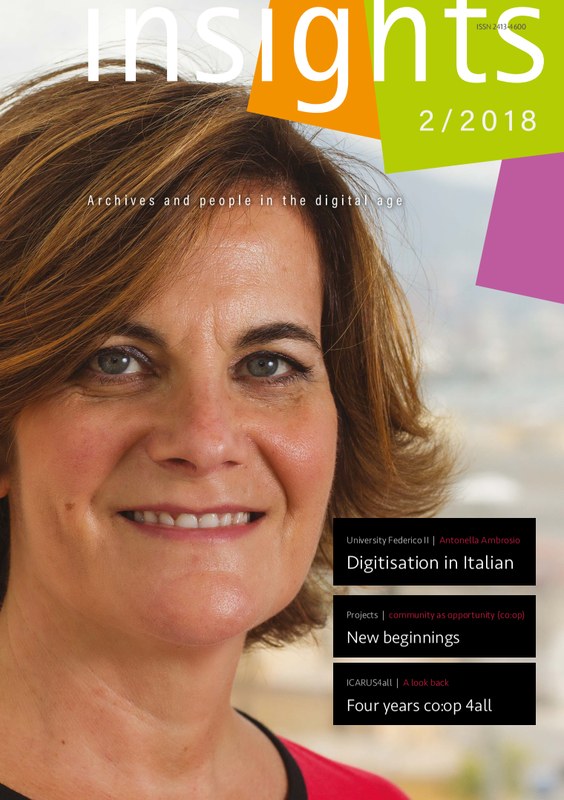 On 17th October A. Ambrosio will present the new ICARUS member ANAI (Assozione Nazionale Archivistica Italiana) in occasion of the Newbies Carousel. Have a look at the programme here – the presentations will be available on slideshare. 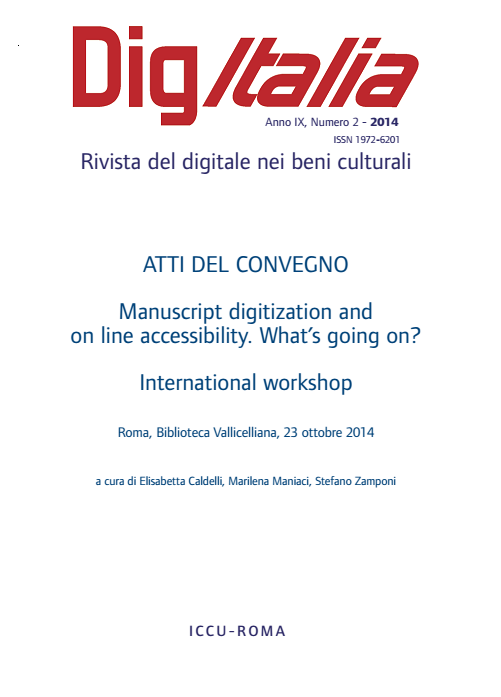 On October 10th Prof. Antonella Ambrosio (Università degli studi di Napoli) will give a paper on La marcatura e le forme dei documenti privati medievali nell’Italia meridionale. 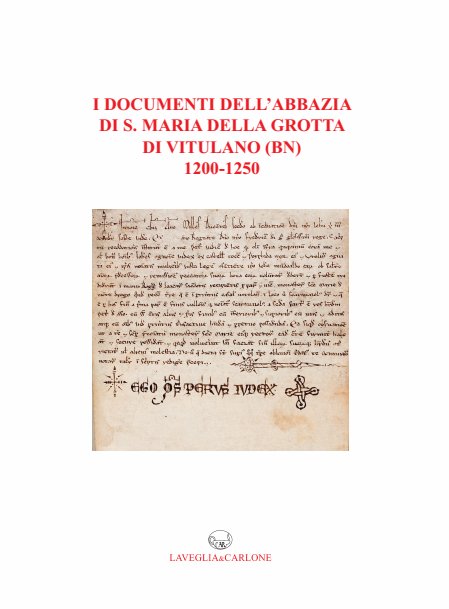 L’edizione digitale delle carte dell’abbazia di S. Maria in Gruptis di Vitulano in occasion of the seminar on La edición académica del documento notarial y concejil en la era digital / The Scholarly Edition of notarial and municipal charters in the Digital Age. 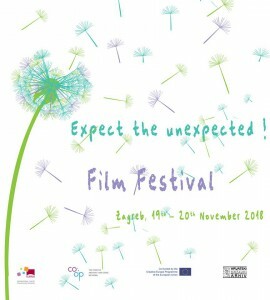 Have a look at the programme here and at the photos here ! Have a first look at some of the fotos which will soon be accessible on topotheque.eu in the topotheque of FAGUS (Vitulano)! The association FAGUS. Territori in crescita inaugurated a new page for the project with all the infos here. After the Bring your History Event held in June in Vitulano, which inaugurated the cooperation between UNINA and FAGUS – territori in Crescita for the Topotheque project, an operational meeting will be held on Friday 23 September! The discussion will focus on the future activities to enhance the knowledge of the landscape heritage of the community of the Vitulanese Valley through its photographic heritage (from June to September, Fagus hosts a splendid photographic exhibition for the community, with images intended for the topotheque platform) and on the use of platform to implement the online collection. 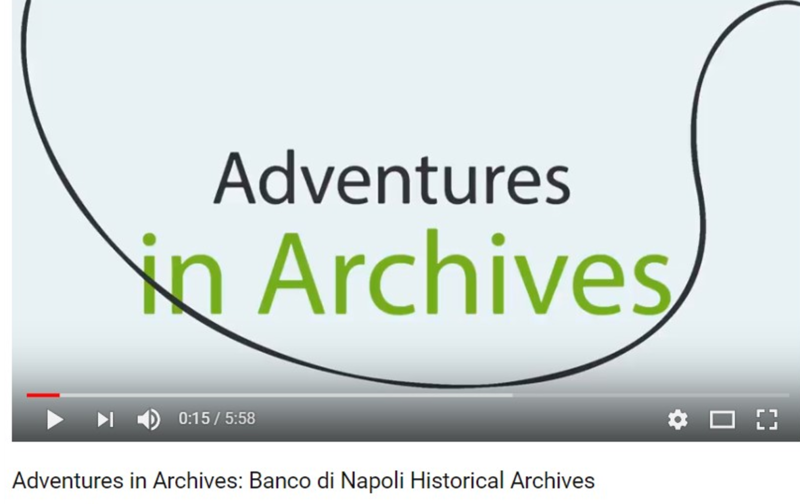 In the morning, our Fagus collegues will follow a guided visit at the Historical Archive of the Banco di Napoli. The event could be organized thanks to the new collaboration between UNINA and Banco di Napoli Foundation! A really stimulating exchange of experience and knowledge with the perspective of expanding our network more and more! Within the co:op project Vera Schwarz-Ricci partecipated in the workshop Semantic Encoding of Historical Economic Records, Cracow, 11-12 July 2016, organized by MEDEA (Modelling semantically Enriched Digital Edition of Accounts) and sponsored by the Deutsche Forschungsgemeinschaft – Germany – and National Endowment for Humanities – USA). 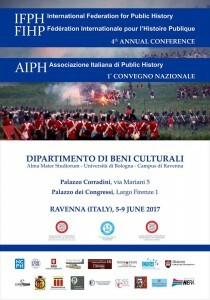 At the IMC 2016 co:op sponsors a session on Documents and Digital Technologies which will present recent in particular research on the documents of Southern Italy during the Norman and Hohenstaufen periods and is organised by Antonella Ambrosio (Dipartimento di Studi Umanistici, Università degli Studi di Napoli – Federico II). 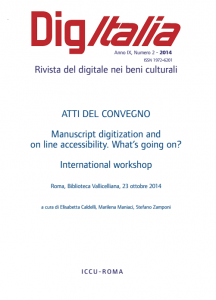 There will be two papers by participants in our digital edition of the charters of S. Maria della Grotta: Vera Isabell Schwarz-Ricci (Dipartimento di Studi Umanistici, Università degli Studi di Napoli – Federico II) will speak of Digital Editions and Digital Archives of Charters: The Case of the Abbey Santa Maria della Grotta of Vitulano, Benevento and Paola Massa (Dipartimento di Scienze librarie e documentarie, Università degli Studi di Roma ‘La Sapienza’) will talk about The Private Deeds of the Abbey of Santa Maria della Grotta: Patterns and Functions in Notarial Practices, 10th-13th Centuries. 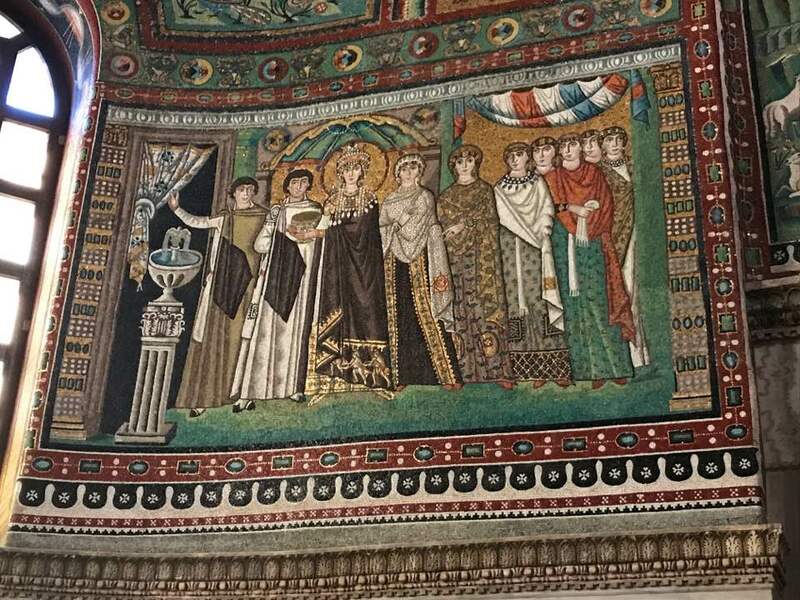 Last but not least, Adele di Lorenzo (Institut d’histoire et civilisation de Byzance, Collège de France, Paris) will discuss the Donations pro anima in Greek Private Deeds in Southern Italy under the Normans during the 12th Century. The first Topotheque in Italy! 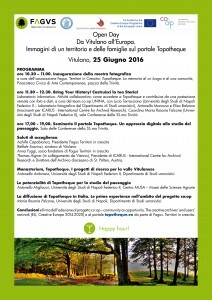 The University of Naples Federico II and the non profit association of Vitulano “Fagus. Territori in crescita” start a topotheque to enhance the landscape heritage of the community of the Vitulanese Valley as documented in countless photographs. “Fagus” also joined the co:op project as associated partner, showing its support for the project’s endeavours of raising awareness towards the many important bits and pieces of joint history kept in private collections. 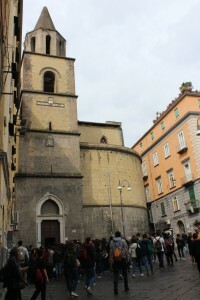 The idea of inititating this topotheque was born by the previous collaboration with the City of Vitulano of integrating the Charters of S. Maria della Grotta Abbey into the the Monasterium portal. 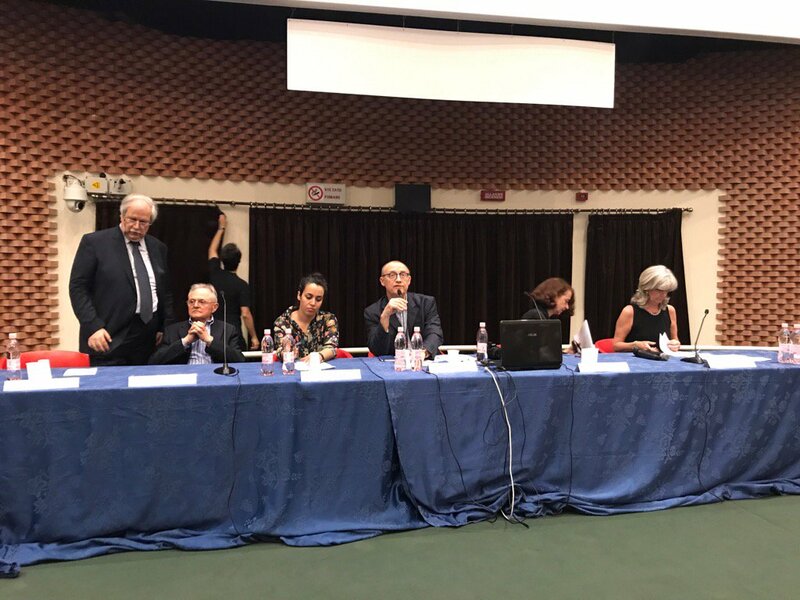 Furthermore, A. Ambrosio (UNINA, Dipartimento di Studi umanistici) was awarded the honorary citizenship for her valuable research activities and this close cooperation developed the desire to further explore and experience public history in practice. 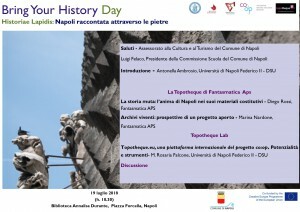 Within the “Open Day”, UNINA will lead a “Bring your history” day with a hands on laboratory demonstrating the upload procedure of digital documents to the online topotheque platform. In the afternoon the seminar Il portale Topotheque. 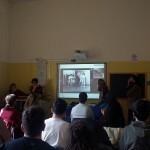 Un approccio digitale allo studio del paesaggio will elaborate on the potential that lies within the topotheque portal. Thomas Aigner (via Skype from Vienna), President of ICARUS – International Centre for Archival Research and Director of Diocesan Archive of St. Pölten, Austria. 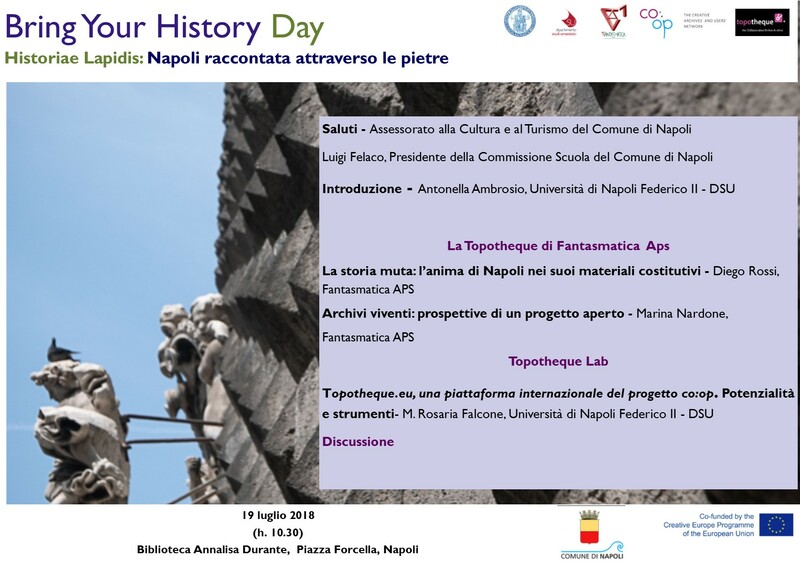 The day-meeting is organized by the ANAI-Associazione Nazionale Archivistica Italiana-Sezione Campania, the State Archive of Naples and by the Department of Humanities of the University of Naples Federico II, within the project co:op-community as opportunity. the creative archives’ and users’ network (EU, Creative Europe 2014-2020). The initiative will focus on some theoretical and practical issues of the skills required to archivist profession. 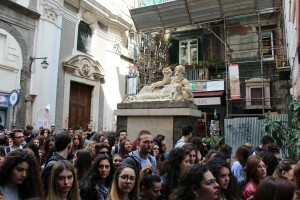 The initiative is reserved to ANAI members (in good standing with the payment of dues 2016), to students of the School of Archival Sciences, Palaeography and Diplomatics of State Archive of Naples and to the students of Degree in Archaeology and History of Arts and Master Degree in Historical Sciences of the University of Naples Federico II. The deadline for the registration is 13 June 2016. 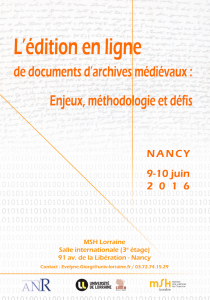 During the session 2 L’edition electronique de sources diplomatiques médiévales, Antonella Ambrosio will present the paper titled Digital critical editions of medieval documents on Monasterium.Net. 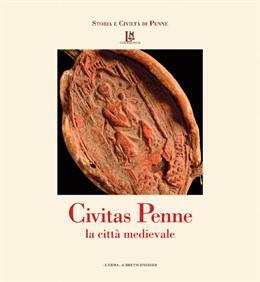 In occasion of the study day celebrating the publication of the volumes III and IV of the “Storia e Civiltà di Penne”, organised by Lucio Marcotullio, the Società Napoletana di Storia Patria and the Centro interuniversitario per la storia delle città campane nel medioevo, Prof. Giovanni Vitolo will hold a speech on “Dinamiche politico-sociali e vita religiosa” and Prof. Antonella Ambrosio will talk about “Scrittura e produzione documentaria”. Ispirati dagli archivi – Get inspired by Archives! 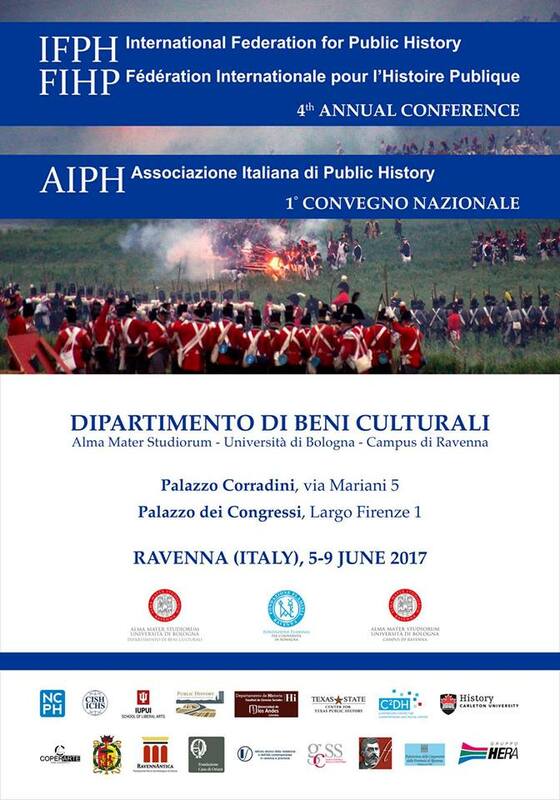 co:op partner UNINA adhered to the ANAI initiative Get inspired by Archives!, a week of events to call the attention to the documentary treasures of Italian archives and the necessity of safeguarding them. Without law archives trials couldn’t be conducted, cases couldn’t be reopened when new evidence arises. Without hospitals archives, our clinical life couldn’t be reconstructed and doctors wouldn’t have the documents they need to take care of us. Without the documents that give us data about the weather conditions trough the centuries, we couldn’t study climate changes. The future availability of these documents depends on today’s decisions on the management of the preservation of analogue and digital documents. Have a look at our profile! Antonella Ambrosio held a Diplomatics and Palaeography course for the Master Degree students in Organization and Administration of the Cultural and Environmental Heritage and the Master Degree students in History. One of the main purposes was to get the students to understand that the study of long-term phenomena, for example such as the persistence of documentary forms over the centuries, are a fundamental element for the history of the documentation. Therefore we analyzed a lot of charters in diachronic order and with a very broad historical, cultural and geographical perspective. 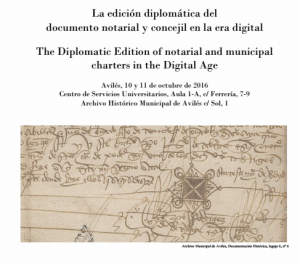 This year the course of Diplomatics and Palaeography integrated educational activities and scientific activities, uniting research on Critical Digital Editions in MOM-Ca and the specific objectives of the study of Diplomatics and of medieval charters. 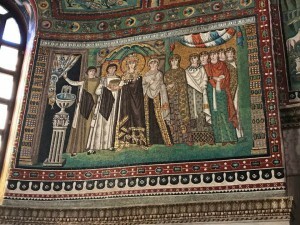 The lectures traced a path from traditional to new digital methodologies by using the digital archives available on Monasterium.Net, in particular the charters of the Abbey of S. Maria della Grotta in the Digital Archive of Società Napoletana di Storia Patria. The students were engaged actively by employing Monasterium’s tool MOM-Ca and by experimenting Critical Digital Editions in MOM-Ca. Here the programme of the seminar. Elisa Balzano and Antonella Mancuso started an post-graduate internship within the co:op project. 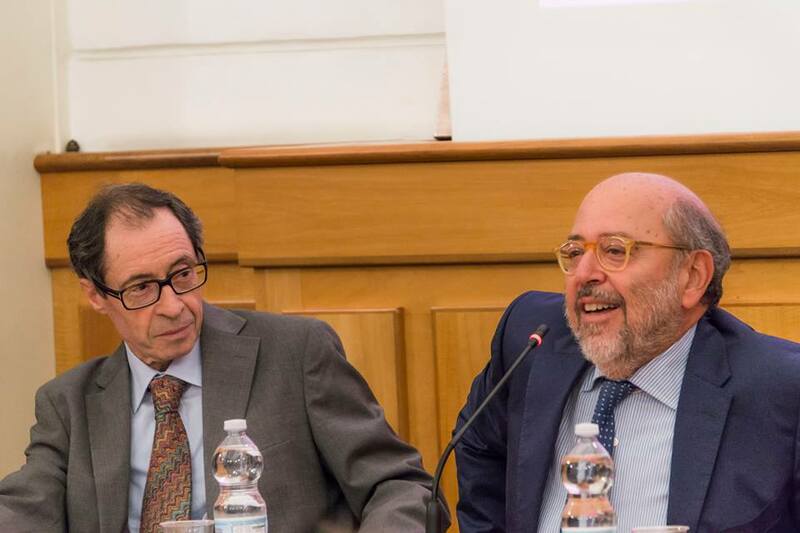 They are going to work on the platform Topotheque and will collaborate in the creation of a Topotheque for the collections of the Centro Museale delle Scienze Agrarie (MUSA – University of Naples Federico II). The internship is coordinated by prof. Antonella Ambrosio and Dr. Maria Rosaria Falcone. Welcome to our new trainee! Within the agreement signed between Icarus-InternationalCentre for Archival Research and Univeristy of Siena, Ilaria Conte (Master di 1° Livello in Informatica del Testo – Edizione Elettronica- Università di Siena) will start an internship within the co:op project. She will work on the online platforms, Monasterium.Net and Topotheque, at University of Naples, with coordination of Antonella Ambrosio. 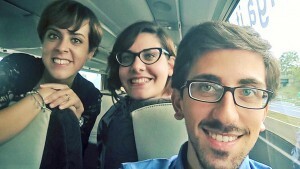 The interview with Antonella Ambrosio and Maria Rosaria Falcone which offers an overview on Monasterium.Net, already published on the blog Foederis Arca, is now available on online review “Il Mondo degli Archivi” too. Antonella Ambrosio offers an interesting overview on the Monasterium project thanks to an interview of Emanuele Atzori for the blog Foederis Arca! The full review here. If you like you can add your comment after registering on the platform. 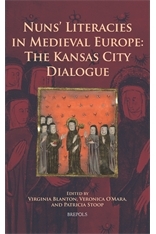 Antonella Ambrosio, Literacy in Neapolitan Women’s Convents in the Middle Ages, in Nuns’ Literacies in Medieval Europe: the Kansas City Dialogue, Virginia Blanton, Veronica O’Mara, Patricia Stoop editors, (Medieval Women: texts and contexts, 27) Turnhout, Brepols 2015, 89-108. 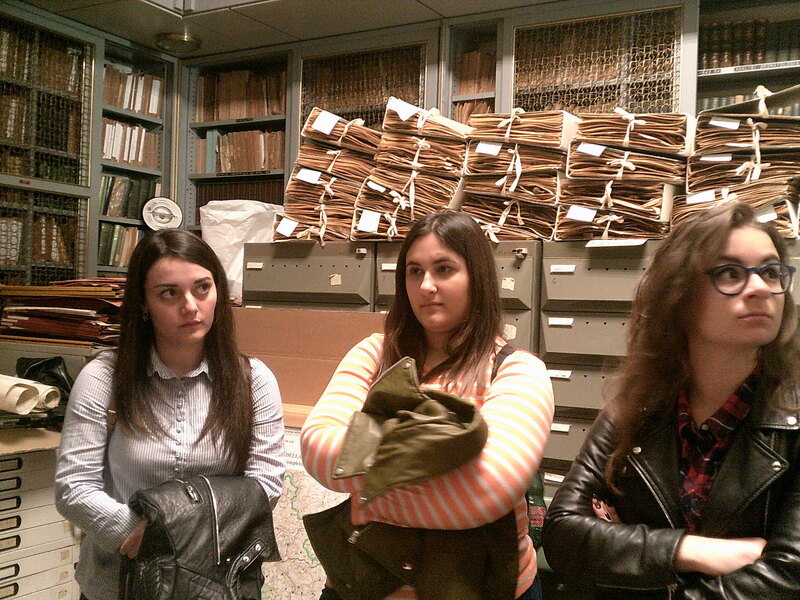 Czech archivists and librarians in Naples! 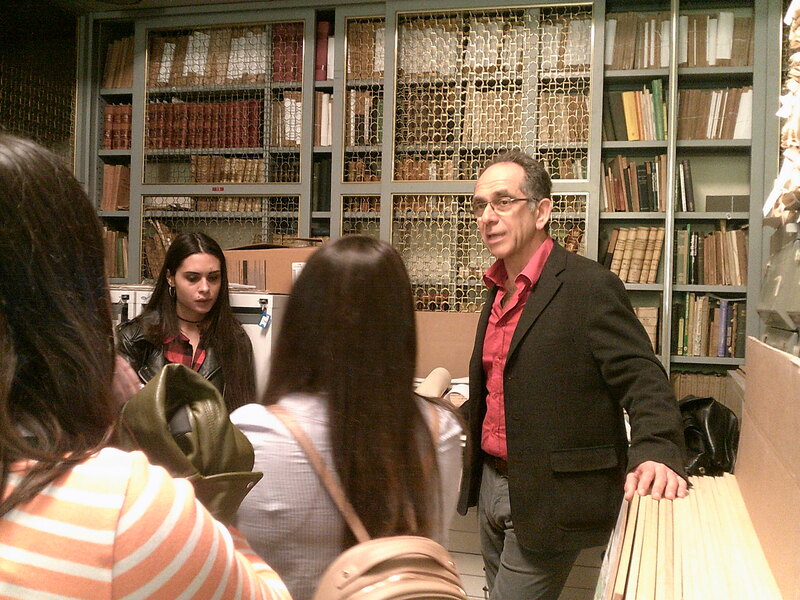 The Library of the Società Napoletana di Storia Patria and the State Archive of Naples received the visit of a large group of archivists and librarians from the Czech Republic. 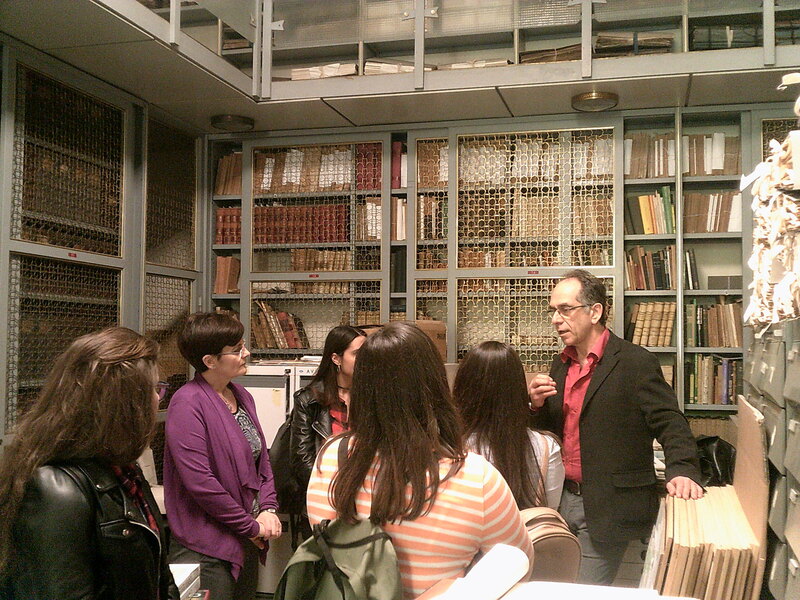 The visit aimed at increasing the knowledge of European archives and libraries to facilitate a productive exchange of professional and research experiences. It was organized by the co:op group (team?) 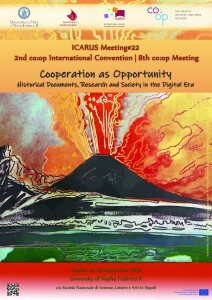 of the University of Naples, coordinated by Antonella Ambrosio, in partnership with the Prague National Archive and under the auspices of ICARus (International Centre of Archival Research); in cooperation with the Società Napoletana di Storia Patria and the State Archive of Naples (with the collaboration of the assistant director, Carolina Belli). 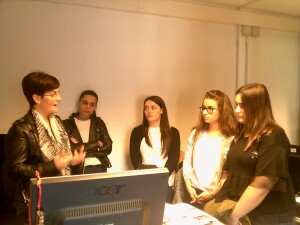 The visit is part of the activities of the European project co:op (Community as opportunity. The creative archives’ and users‘ network, Creative Europe Programme, 2014-2020). Vera Schwarz-Ricci presented the Digital Archive of the Società Napoletana di Storia Patria, which will be online very soon on the Monasterium.net! Have a look at the photos of the event here.